The Techna Institute, the Baxter Corporation, the Institute of Biomaterials and Biomedical Engineering affiliated with the Faculties of Dentistry, Engineering and Applied Science and Medicine at the University of Toronto, and the Toronto General & Western Hospital Foundation are excited to announce the appointment of Dr. J. Paul Santerre to the Baxter Chair of Health Technology & Commercialization. Dr. Paul Santerre — the new Baxter Chair — in his lab. Photo credit Neil Ta. The Baxter Corporation invested $2.5M to create the chair, which will not only enable Dr. Santerre to advance his research, but is also designed to allow him to spend time developing commercialization and entrepreneurship expertise at UHN and the University of Toronto. As the Baxter Chair, Dr. Santerre will lead courses on commercialization and entrepreneurship for students and trainees from UHN and the University of Toronto. He will also mentor trainees in commercialization practices through H2i, an accelerator out of the University of Toronto. The Chair will also position Dr. Santerre to build relationships between start-up companies focused on health and medical technologies and UHN—Techna in particular—to help develop their products and businesses. Dr. Santerre is a world-renowned scientist developing new biomaterials for tissue engineering, implants, and medical devices. He is also a successful entrepreneur, co-founding Interface Biologics Inc. in 2001 and continuing to serve as its Chief Scientific Officer. He is also the Chief Scientific Advisor of Polumiros, a start-up company led by two former postdoctoral fellows from his lab. This reflects another of his passions which is the training and mentoring the next generation of entrepreneurs. 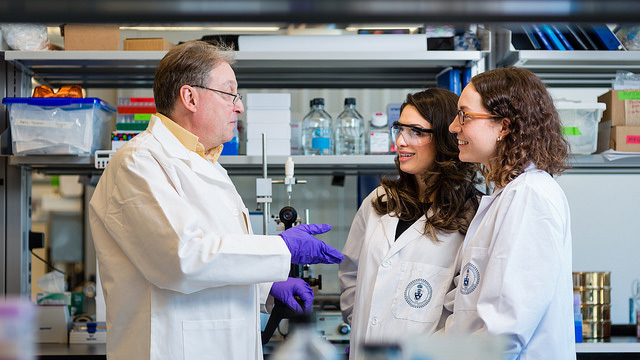 Dr. Santerre’s achievements in research and innovation have been recognized throughout the research and innovation community. He is the recipient of numerous prestigious awards including the Governor Generals’ Innovation Award (2017), the Connaught Innovation Award (2016/2017), the Manning Award for Innovation/Entrepreneurship (2014), and a fellowship with the Canadian Academy of Health Sciences. The Baxter Chair will enable Dr. Santerre to expand his interests in research at the Ted Rogers Centre for Heart Research (UHN, University of Toronto and SickKids), mentorship via H2i (University of Toronto), and commercialization via the Techna Institute (UHN).